COEUR D’ALENE, Idaho – Northwest Specialty Hospital, a Post Falls-based physician-owned hospital, is accelerating its drive to improve patient care and better manage costs by agreeing to fully embrace a new reimbursement model with Regence BlueShield of Idaho. Regence’s Value-based Reimbursement model ties future contract rates with hospital performance on specific quality measures. The measures include 1) the hospital’s STAR “quality” rating from the Centers for Medicare and Medicaid Services Hospital Consumer Assessment of Healthcare Providers and Systems; 2) its publicly reported survey score of patient perspectives of hospital care; 3) its readmission rate; and 4) its number of returns to the operating room. Consumer groups, health insurers and individuals have long been pushing for availability of third-party “report cards” that allow health care consumers to make more informed choices about where they obtain needed medical services. In response, Medicare.gov has begun offering a quarterly hospital comparison tool that combines multiple performance measures into a “STAR” rating system, where five stars is as good as it gets. Additionally, the Leapfrog Group measures and publicly reports on hospital performance through its annual Leapfrog Hospital Survey. The survey is a trusted, transparent and evidence-based national tool in which more than 1,500 hospitals voluntarily participate free of charge. This new Value-based Reimbursement agreement is the latest example of the successful roll-out of the comprehensive Accountable Health strategy within the Regence family of companies in Idaho, Utah, Oregon and Washington. Since 2007, Regence has worked with providers, employers and individual members throughout its four-state region to implement innovative collaborative care models. 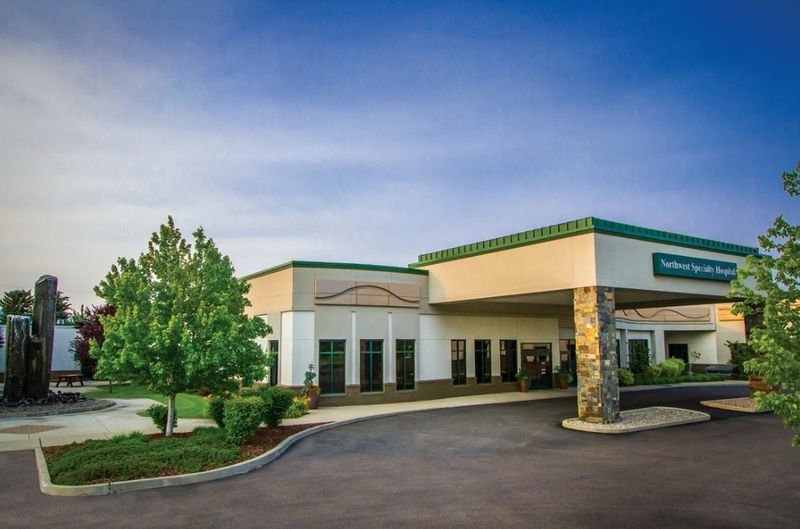 Northwest Specialty Hospital is a physician-owned acute care hospital dedicated to helping patients sort through their healthcare and treatment options, and to providing personalized, compassionate care. Northwest Specialty Hospital strives to maintain a high nurse to patient ratio to ensure an exceptional level of personalized care. And the hospital is proud of its hard-won status as north Idaho’s only five-star rated hospital. Comprehensive services are offered in bariatrics, endoscopy, general surgery, neurosurgery & spine, orthopedics, plastic surgery, sleep center, nephrology, ear, nose & throat, family medicine, imaging, occupational medicine, oncology, pain management, podiatry, urgent care and internal medicine. Learn more at http://www.northwestspecialtyhospital.com/.